May 28 was always one of my favourite days… my birthday! In these past few years it has been one of my least favourite days. Not because I’m in my mid twenties now, but because it seems to always bring bad news. 2 years ago was our first cycle of chemo with Mase and he was finally discharged from the hospital after a very long stay in London. Coming home was such a happy time, but also scary for us as it was our first time home since his cancer diagnosis. He was sent home on 10 different meds a day and still had his catheter in, that we were now in charge of. It was a glimpse into what our new life was and to top it off, I wasn’t able to go near him because I had caught a virus. The next year I had figured my birthday would be the best. I mean, how could it be bad? Mason was recovering so well from his radical surgery, we were home, happy, and thought we had beaten cancer once and for all. However that was not the case. 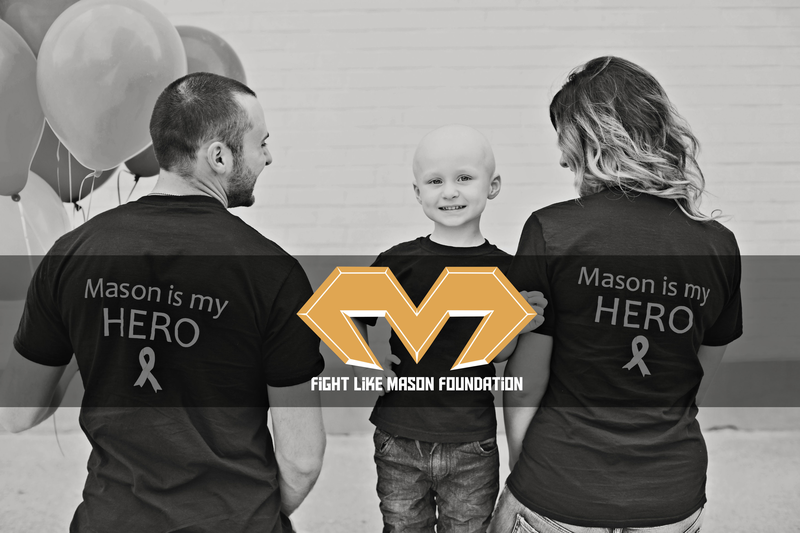 Early on May 28 2016, Mason began throwing up uncontrollably, was weak and just didn’t seem like himself. In my heart I knew something wasn’t right and I spent most of that day crying as I looked at my sons eyes and knew something was wrong. It was the beginning of the end for him and my heart was broken. This year, as May 28th rolls around once again, I cant help but fear it, as I’m always fearing what will happen next. Of course the week following up to this day had its scary moments once again. From our dog throwing up blood and having to rush him into the vet hospital, to feeling like I was losing him, to also having a scare that baby M wasn’t growing like he should be. Fear upon fear and it was growing so strong. Fear that once again, I was going to get bad news. Can we say stressed? Oh man was I stressed, and anxiety was at a high. From timing every movement of baby M and checking his heart rate constantly, to waiting for calls on how our Mr.Mylo (dog) was doing. It just seemed like one bad day after another, and of course it all had me questioning if I was the cause of all these things happening. By the end of the week the clouds were lifted and things were looking up, Mylo was coming home, with a few health issues and lots of meds to take. Which reminded me of when we first brought Mason home from the hospital after his diagnosis. To finding out baby M was right on schedule and was growing perfectly. Finally I was able to breathe. No this birthday isn’t my favourite day anymore. Mostly because it’s missing my boy singing happy birthday to me, and begging to open my presents for me because he just couldn’t wait to see what was under the wrapping paper! Also of course, helping me blow out the candles. This year won’t be the best year, it wont be easy, and it will be missing a big part of my heart. But I am excited to see what the future holds with a new little man making his way into this world very soon. To seeing the foundation grow and grow, and to hopefully start making a difference in childhood cancer research and care. Thank you Mason for giving me such a beautiful day, from the sunshine shinning down to the perfect thunderstorm to end the day. You sure know what your Momma likes! Happy birthday doesn’t always have to be happy, but today I’m thankful for my boys for making sure my day was as best that it could be! Thank you to my husband Iain, and my boys Mason, baby M, & our puppies Mylo and thumper! This brought tears to my eyes… Always think about you guys. You are one special mama! I read all your blogs and can’t help but feel emotional. You & lain are constantly in my thoughts and prayers and I cannot wait to see the foundation grow more than it already has. God bless your family. Mason is defiantly proud of you guys & will be watching over his baby brother. Thinking of you always. Very happy to hear Baby M is doing well and Mylo. Happy birthday. Thanks for sharing with us….. You are one very special young woman! Big hugs!